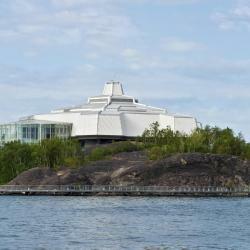 Looking for hotels near Science North? Conveniently located in downtown Sudbury, this hotel features a fitness center. The guestrooms boast free Wi-Fi and flat-screen cable TVs. 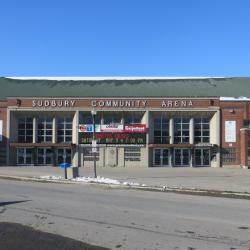 This hotel is located in the center of Sudbury, next to the shopping stores available at the Rainbow Center. It features an indoor pool, on-site restaurant, and free in-room Wi-Fi. This downtown Sudbury Best Western is 4 minutes from Ramsey Lake and less than 2 miles from the Little Britain district. Free Wi-Fi is available throughout the hotel. Travelway Inn Sudbury is across from Health Sciences North and Science North Discovery Attraction and just 10 minutes from the Big Nickel and Dynamic Earth Science Center. Located next to Collège Boreal, this guest accommodations is just 10 miles from Ramsey Lake. All rooms feature a kitchenette and a large, fully equipped kitchen is available for common use. Located 1.6 miles from Science North, Quality Inn & Conference Centre Downtown Sudbury in Sudbury provides rooms with air conditioning and free WiFi. Located at the Highway 55/Highway 86 junction, Fairfield Inn & Suites Sudbury offers an indoor pool and on-site fitness facilities. The spacious rooms have free Wi-Fi and flat-screen TVs. Staff was extremely helpful even at 1am when we arrived. This all-suite hotel in Sudbury features an indoor pool and 24-hour gym. Idylwylde Golf & Country Club is 3.1 mi from this hotel that provides full kitchens in each suite. Breakfast and light dinner are excellent. Pool facilities are top notch. Boasting an indoor pool, hot tub and fitness room, Microtel Inn & Suites by Wyndham Sudbury is only 3.7 mi from Science North. Free WiFi is available throughout. The staff were friendly with my kids, and always very helpful. The overhead showers were fun. Located off of the Kingsway and Hwy 17, this Sudbury motel is 15 minutes' drive from the Science North museum. It features rooms with extended cable TV, free Wi-Fi, microwaves and refrigerators. Best housekeeping suite ever! Very nicely equipped, roomy, beautiful and very comfortable. Conveniently located on the Kingsway at Falconbridge Road, this pet-friendly accommodation features an indoor pool, whirlpool and fitness center. Sudbury Airport is 7.2 miles away. Our stay was awesome! Great accommodations for us and our tiny pup! Located in the city center of Sudbury, Holiday Inn Sudbury features a heated indoor pool, hot tub and a fitness center. Guests can enjoy free WiFi throughout. Clean big rooms comfy beds and lots of pillows! Super 8 Sudbury is 3 miles from Big Nickel & Dynamic Earth. The hotel serves a continental breakfast and features guest rooms with free WiFi and cable TV. Food was great, also, very comfy after driving 500 miles. In Sudbury, Ontario, offering convenient access to area attractions, recreational activities and local highways, this hotel features many thoughtful amenities along with friendly services. The vegetarian potatoes should be in a separate warmer with separate spoon. An indoor swimming pool and restaurant are featured at this Sudbury hotel. Free Wi-Fi and a light continental breakfast are included. New Sudbury Shopping Center is 10 minutes’ drive away. The location was perfect, central. the staff very friendly and accommodating.. Located in the quiet hamlet of Lively, this hotel is 15 minutes' drive from Sudbury city center and 5 minutes’ drive from Mikkola. The hotel offers rooms with a flat-screen TV. Breakfast was nice and the staff were spot on! People are talking about Science North! 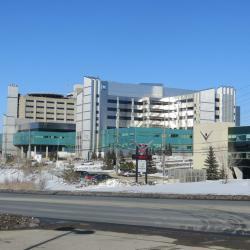 Explore guest hotel reviews featuring "Science North"
Staff were extremely friendly. We were able to check in early. 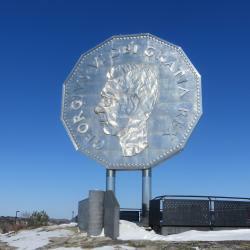 Big Nickel is right in their "backyard" so it was super quick to get there. Science North is maybe 10 minutes from them as well. Super close to shopping, food and tons of other things to do! Continental breakfast could be a bit better, but was great considering the value of the hotel! Very pleased! Room was very clean, airconditioning was nice and cold, shower water was nice and hot! Can't complain about much here!! Staff was very helpful when our little guy got sick and threw up on the bedding and carpet. Very close to Science North and Laurentian University. Perkins restaurant attached.